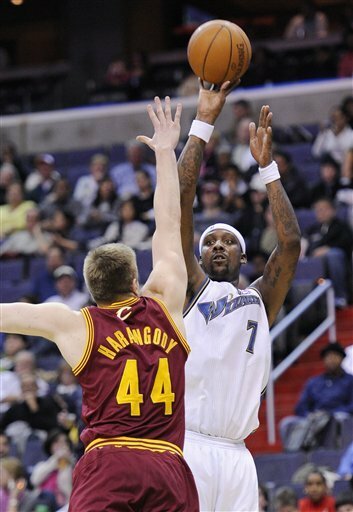 Inspired by Michael Lee’s attempt to explain Andray Blatche’s low shooting percentage this season, my latest at the Washington Post breaks down Blatche’s shooting numbers. “His problems began when he broke a bone in his right foot last June and was unable to do much basketball-related activity. He gained weight, arrived in training camp out of shape, and developed problems with his left knee that affected his burst and his lift. With his shot getting blocked inside, Blatche was forced to take jumpers, resulting in a 43.8 field goal percentage that is his worst since his second season.”Sounds plausible, but is this accurate? Did Blatche shoot more jumpers because his shot was getting blocked inside? Is this what caused Blatche’s sub-par shooting? Let’s test these theories against data extracted from the league’s official play-by-play reports. Turns out, Lee’s explanation doesn’t hold up. But, there may still be some encouraging signs for Blatche’s future.